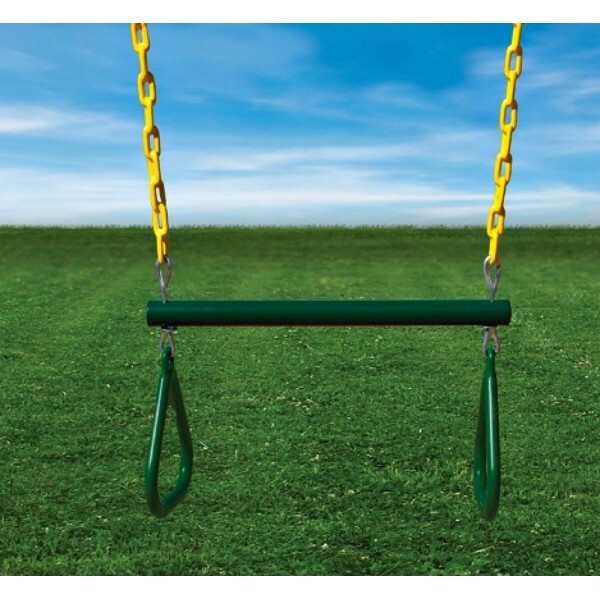 Did the swings turn out to be the most popular part of your playset? 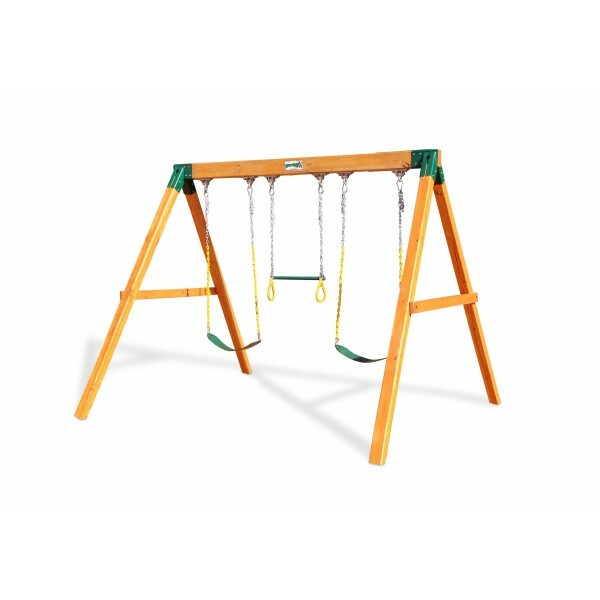 No worries - you can add the Gorilla Playsets Swing Station to your yard for extra swinging fun! 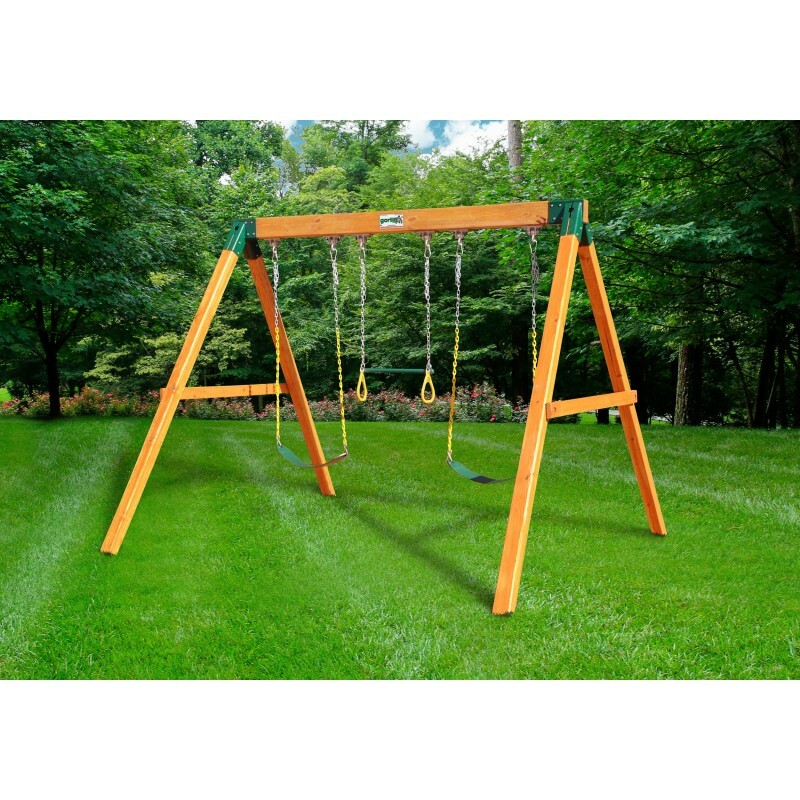 Did the swings turn out to be the most popular part of your playset? 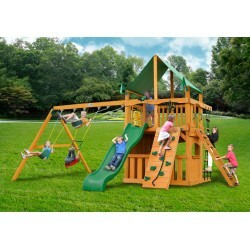 No worries - you can add the Gorilla Playsets Swing Station to your yard for extra swinging fun! 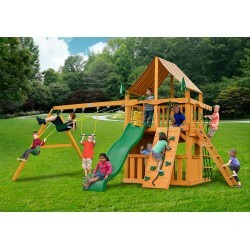 The set is an A-frame with space for three swinging activities - purchase your families favorite swings separately. 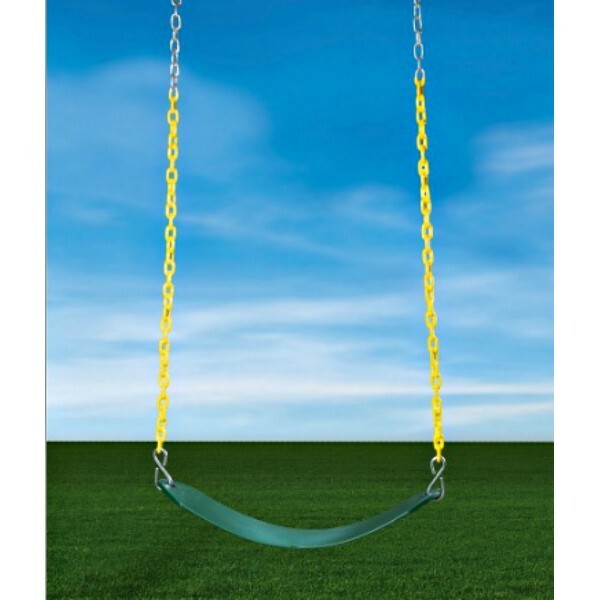 The swing hangers are made of iron and the playset is sealed to prevent damage from weather and insects. The best part is that the holes are all pre-drilled, making the assembly of this swing station a snap. 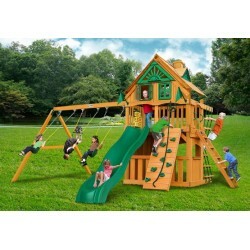 Let the fun begin, order yours today!